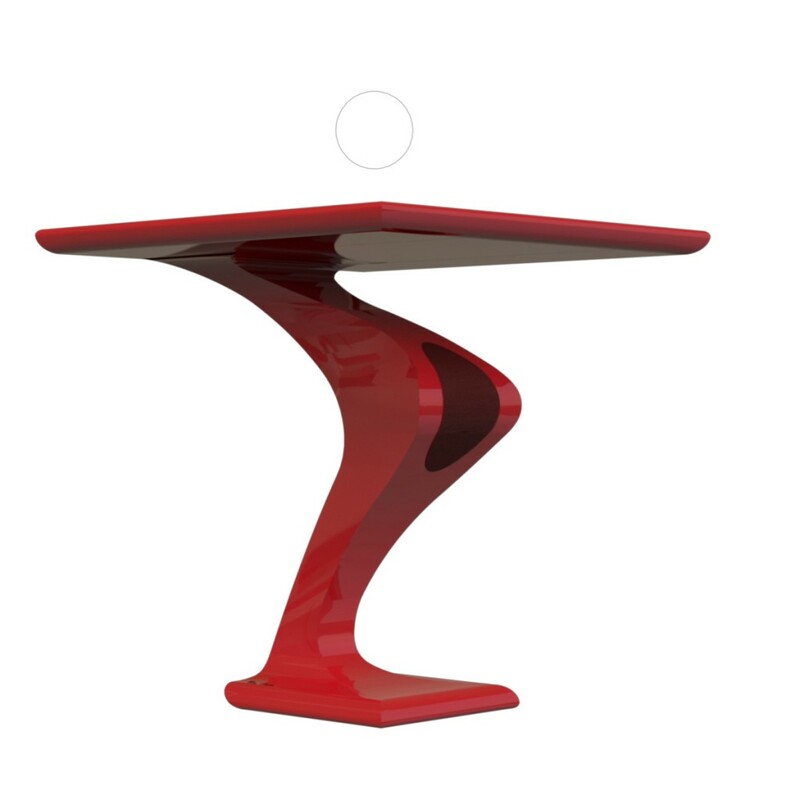 The final piece in the Cobra series, this table has an exceptionally sinuous, asymmetrical shape. The central part of the support is particularly prominent, with a pronounced volume, and conceals a high-quality speaker that connects wirelessly to any compatible sound system. The wood used is dried red spruce, which is famous for having resonance characteristics that make it suitable for constructing violin soundboards. The opening that houses the speaker suspended in the interior also allows for aeration of the wood, thereby continuing the natural aging process. This table boasts a special feature – an illuminated sphere held in stable magnetic suspension. The system runs on batteries that require weekly charging.